The video poker of today looks quite a bit different than the video poker that first made its debut in the 1970s. However, many of the game’s advantages and benefits have stayed the same, such as low house edges, big win possibilities, and being able to play alone without the hassles and pressures that come from other players. Back in the day, you simply put one to five coins in your video poker machine, got your five cards, held some and discarded some, and then got paid off based on the value of your resulting hand. Today, however, everything is done virtually and online for the most part. There is no need to actually go to a casino or a gaming center and sit down at a machine. Instead, you just log onto your computer and start playing from there. With the changes that have come, there has also arisen a need for new and updated video poker tips, which we have provided here. 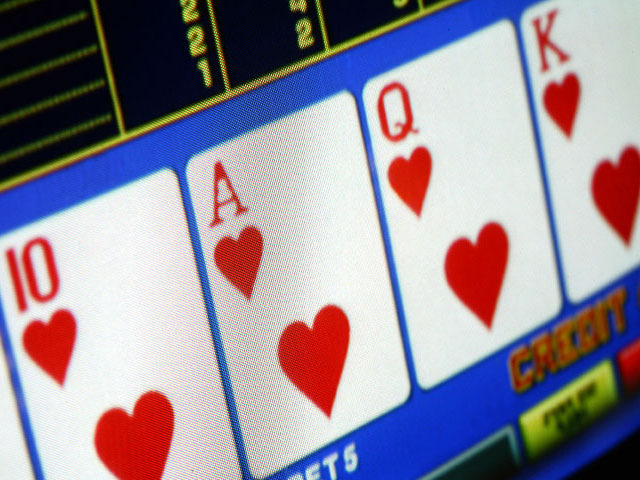 If you follow these video poker tips carefully, chances are that you will experience more wins than losses in the long run, and that you’ll keep enjoying playing for a long time to come. One simple tip is to always look for the most liberal pay tables. This is true when playing these games in the “real” world and virtually as well. It’s just that how you go about finding them is a bit different. When playing online, you simply have to sit in and/or carefully watch a few games at different virtual tables. After a while you should be able to tell which ones are more liberal paying. Then, you can play at those tables exclusively and enjoy a nice little advantage. Also be on the lookout for helpful extras like cash backs, mailers, and free play options. Keep in mind too that you have to know the real world rules of poker even when playing online. So many people seem to think of virtual gaming as not being “real,” even though they are playing with real money. This can be a costly and disastrous mistake. Make sure you know your stuff inside and out and that you apply that knowledge to your online gaming. It is true you might have to make a few little adjustments to your knowledge and strategies here and there, but it is essentially the same deal no matter where or how you play.